As business continues to globalize, business processes are getting more fast paced and complex. Corporate information is the key to existence but also invites data loss, stolen assets, regulatory fines, lawsuits, loss of corporate identities and much more. A majority of Fortune 500 companies are experiencing these incidents and there seems to be escape from data loss and breaches. It can’t be avoided. The best practice is to establish corporate security protocols that minimize the impact of losses. Every second millions of bytes of data from various sources are transmitted over the internet and the repercussions of this data ending up in wrong hands will result in a crisis. This crisis will not be limited to individuals but also corporate business as well. There has been several cases in the recent past when confidential information has been compromised resulting in huge financial losses, falling stock exchanges, identity thefts, and business failures. 2017 is expected to see a growth and the continued evolution of malware, viruses, internal threats and other hacking innovations. A striking example has been the mutation of bugs inside of ransom-ware. While this isn’t something totally new, the threats are more sophisticated. Businesses of all sizes will need to deploy intelligent protection strategies. The majority of the IT companies are in existence for the sole purpose of serving corporate companies just to secure their data. A large chunk of corporate dollars are invested to backup their corporate data and encrypt it for internet transmissions. It is critical that data transmitted from one place to another is encrypted properly so that it can be safe from hackers wanting to use this data for all the wrong purposes. Corporate security solutions have given itself a whole new definition. Welcome to the new age of security where more than ever it matters that your company is protected both logically and physically. So what are the basics of new age security? CCTV cameras installed at every corner of the office to make sure intruders can’t steal physical assets. Secured doors, through ID cards and prox cards, so that employee authorization is limited and can be restricted to specific working areas. Data encryption and data protection. No one can access data through the use of strong software-based encryption or better yet, the deployment and use of self-encrypting drives. File sharing, especially over email, is tracked and monitored to ensure no leakage of data. FIDO-based solutions where user authentication is more than just passwords. The implementation of new security technologies, such as Autonomous drone security offered by Alarm.com where drones find their way to any part of the building tipped off by motion or noise. Cognitive systems Aura – Wireless monitoring of homes without security cameras. Considering the amount of data breeches that have occurred in the past, and the projection of more in the future, handling of corporate data is one of the most crucial factors to make sure your business is around in the future. 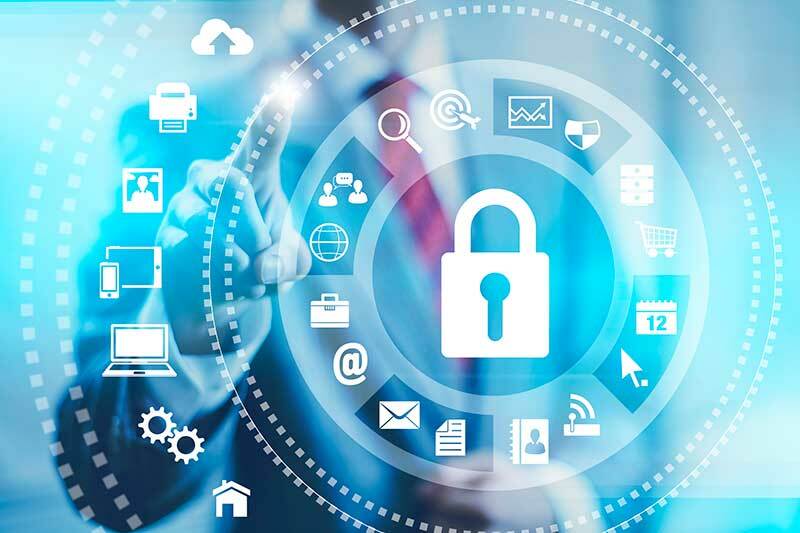 Implementing as many of these new age security practices into your business will not only protect your assets, but your corporate data as well.